A Death in the Family is so easy to describe that it is actually very hard to describe. 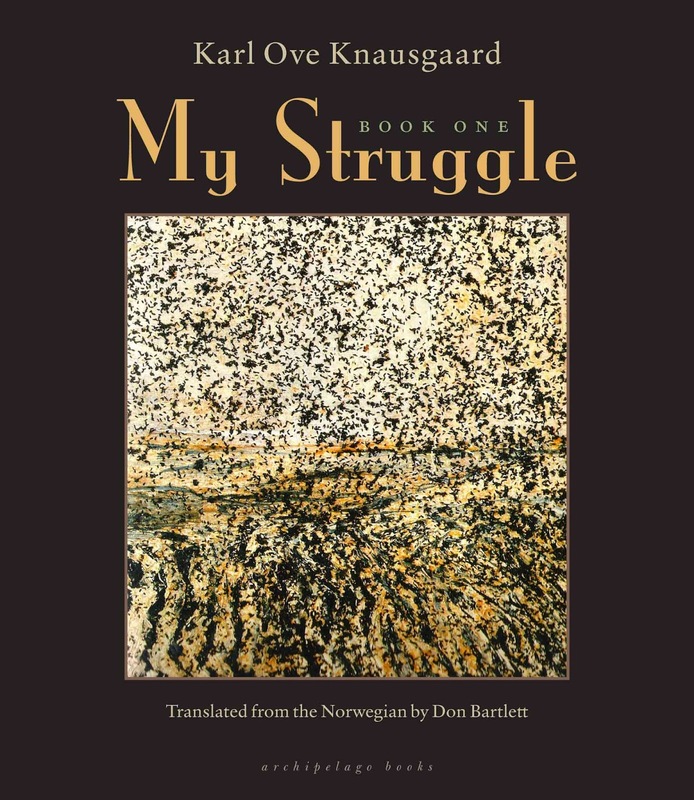 It's the first part of a series of autobiographical novels by Karl Ove Knausgaard (the title of the series is My Struggle, but I'm not thrilled by that additional name, so I decided to leave it out). There are six entries in the series, with each novel focusing on a specific aspect or event in Knausgaards life. A Death in the Family describes parts of his youth, his relationship with his father and the aftermath of said father's death. On the surface, there is little else. Viewed separately from the other entries in the autobiography (which I've yet to read), the plots are only somewhat related, jump backwards and forwards in time and focus on events that seems inconclusive or unimportant. A large part of the beginning of the book is dedicated to describing a teenage escapade involving hidden beer and classmate girls that fizzles out rather than surprises. Yet there is something in the way that Knausgaard describes the world we actually live in and not an idealized or fictionalized one that makes A Death in the Family a joy to read. It gets under your skin exactly because it is both too close for comfort and mundane. The story is familiar to everyone, but not in an overt way. Knausgaard describes emotions and thoughts that are seldom discussed amongst friends and family. As the protagonist, his main feelings seem to be shame, sadness (but not despair) and determination. The description of the relationship with his father is so powerful because Knausgaard doesn't need to describe the relationship itself but can rely on his own reactions to the death of someone he loved. Novelists often build their work around exceptional events, vying to create a surprising tale that is complex and unpredictable. Character traits are enhanced to make characters memorable. Events are described with elan and vigour to pull in unsuspecting readers searching for spectacle. Sometimes these attempts succeed in satisfactory ways. Other times, the reader feels bored and alienated because a story that is unbelievable is also often unrelatable. 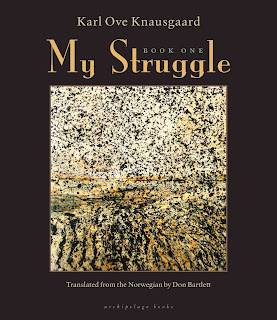 Knausgaard succeeds because his autobiographical voice is also the voice inside the (male) head. The voice that carries primitive emotions, the voice that loves father but also dispises him, the voice that yearns for a freedom that would immediately prove self-destructive. Knausgaard has evidently found a niche that has yet to be properly serviced; the description of everyday life in a manner that is truthful to the point of awkwardness. Even in translation his prose carries itself with a grace that made me look for an actual copy of the second book (instead of reading it on my Kindle). I'm looking forward to Book 2.